As a kid I couldn’t have cared less about this statement. But what a sad life I would have lived without my accidental BFF, the tomato. I’m happy to say that while I wanted to be seated as far across the table from Miss Tomato growing up, my taste buds love them to this day. Go figure. Question: Why did Miss Tomato blush? Answer: She saw Mr. Green Pea. And with that, we’re off to the tomato races! 1. 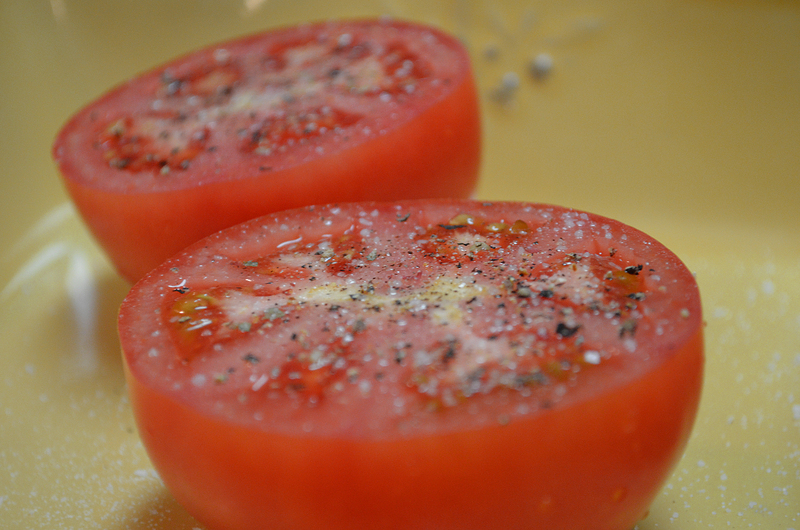 Cut tops from tomatoes. 2. Sprinkle cut surfaces lightly with sugar, salt and pepper. 3. 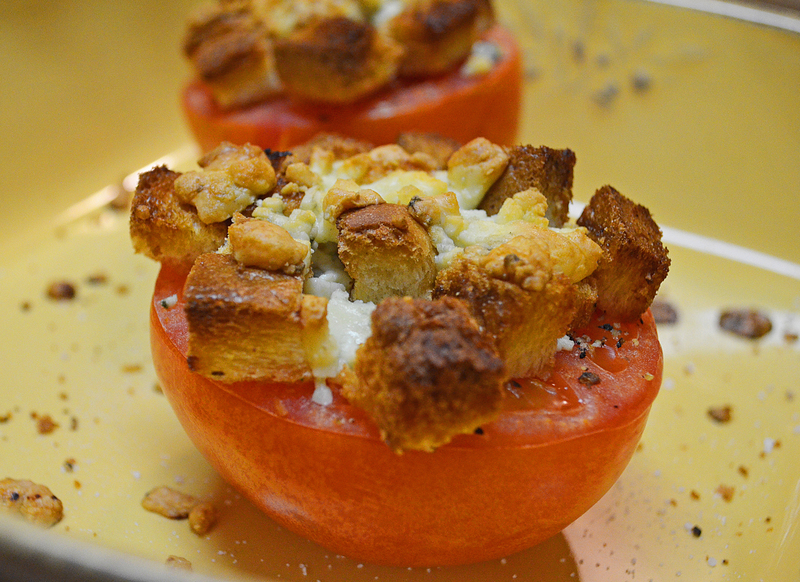 Bake in oven for 10 minutes; remove and top each tomato with a few buttered croutons and a spoonful of crumbled blue cheese. 4. Return to the oven for about 5 minutes or until cheese is melty-soft. ♥ Mom wrote that this danish tomato recipe was a good side with steak, so I made these on the same night as this sirloin with mushroom gravy. Home run. She was right! 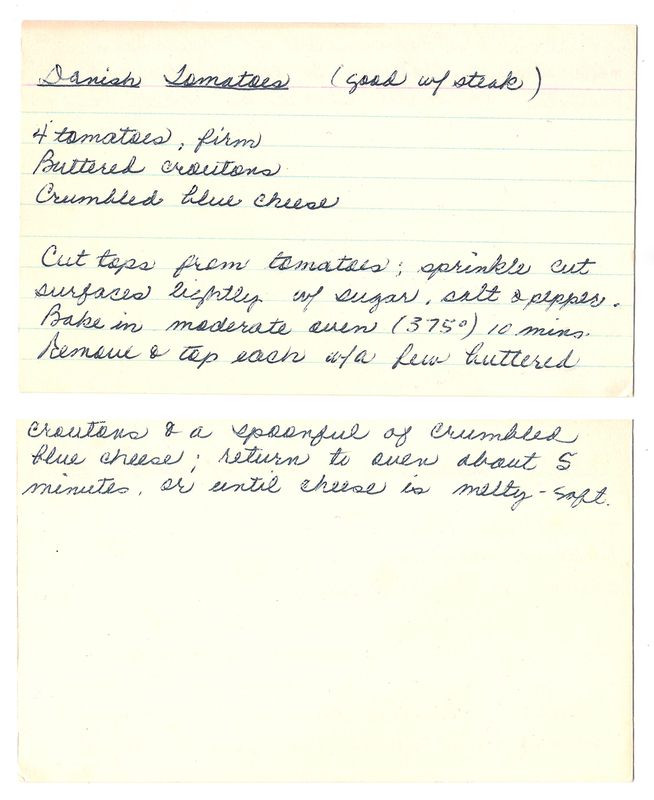 ♥ A spoonful of blue cheese? Or spoonfulls.